I've been testing the adult version of the New Balance Fresh Foam Zante v2 for a while and really like it. So when I found out that New Balance had also produced a children's version of the shoe, I thought it'd be great to test that one too. Of course, I wouldn't be testing it, that honour has gone to my five year old daughter. Main Description: Feeling fast is step one in getting an advantage on your competition. Fresh Foam Zante v2 gives you that edge with a sleek, bootie-like fit that's streamlined and ready for speed. 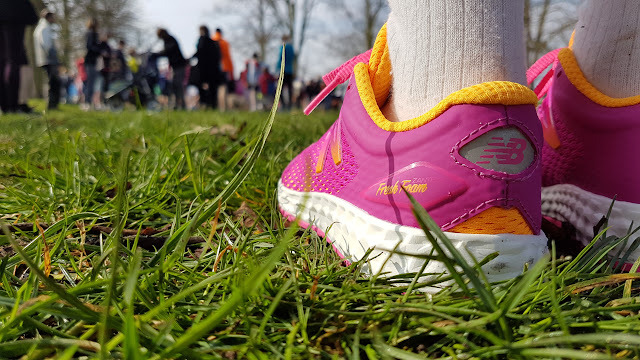 In bold, bright colours, this running show is also a serious style player. Product Details: Designed for a quick heel to toe transition, this aggressive boys' / girls' running shoe has a faster feel that will help you stay motivated -- whether you're running laps at school or training for your first race. 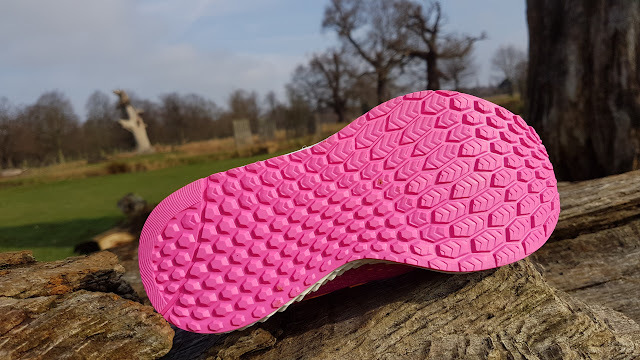 Fresh Foam: Innovative midsole created from a single piece of foam that provides a plush, more natural ride. Me: What do you think of the design of these running shoes? Lime: I love the colours, especially the pink parts. I love the way the 'N' changes colour from top to bottom. Me: How do they feel when you wear them? Lime: They feel great, Papa. Me: And how did you feel when you were running? Me: If you could change anything, what would it be? Lime: I would have a bigger size because they are a little tight around the toes. For clarity, the toe box looks to have plenty of space relative to the shoe itself and the tightness my daughter is experiencing seems to have more to do with the fact that she could have done with a shoe half-a-size bigger than the test pair we received rather than any kind of design issue. The shoes are also very light so it's nice for her not to be lugging around a weighty pair of shoes like she has done previously when she used her regular everyday trainers. I weighed the pair that we have (size UK10.5 / EU28.5) to test and the scales reported a feather-like 140g. The design of the sole of the shoe is almost identical to the adult version, so based on my own experience I would say that this shoe should be super-grippy on tarmac but not so great on wet grass (they are fine on dry grass) or muddy trails. 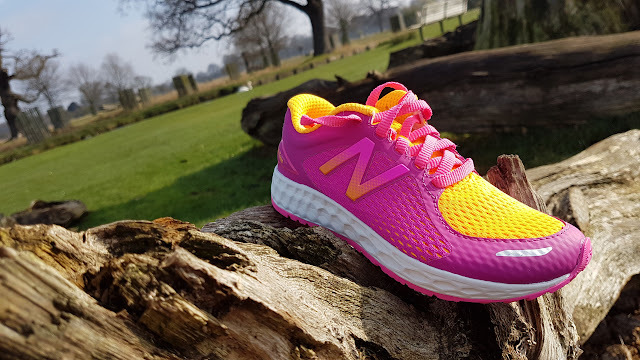 If your child is regularly running on those types of surfaces, it might be worth checking out the New Balance 690 Trail. We haven't tried that shoe, but it looks rugged enough to cope with whatever comes its way. Going back to the Zante v2, we can't find any fault in them. They do the intended job nicely and my daughter loves them. What more could you want?